There is likely little doubt in the minds of anyone who's part of the fashion industry that Bill Cunningham was an icon. Perhaps not in the same way as David Bowie or Prince, who also passed away this year, but in a way that evolved fashion from the sartorial pedestals we place celebrity style upon into a more street-friendly, accessible entity. Cunningham wore the same blue jacket every day. Cunningham rode a bike through the city blocks of New York for 50 years. He took street style pictures that weren't separate from the mainstream fashion industry, but that directly influenced it for years. Although we lost him on June 25, 2016, his legacy is one that the world — not just the fashion world — will never forget. Instead of wanting to find fame, or even document fame, Cunningham captured those who were influenced by fashion in a much more authentic way. This alone is why he will be remembered so well. His candid and street photography captured people (and people's style) in a manner that was and will likely remain unrivaled. Of all his photography, however, there are pictures that will be ingrained into our memories more than most. The artist famously said, "The best fashion show is definitely on the street. Always has been. Always will be." For this reason, his one photograph that I feel most influenced fashion as a whole has to be a street-style portrait. This picture, and its polarizing contrast of high-class society and the local subway in NYC, exemplifies the influence that Cunningham had over the sartorial world through his own work. It was an image that could have easily been posed; a perfected photograph to be agonized over in order to get just right. Instead, it's a shot possessing a sense of candor; a sense that it was "of the moment," which is what I adore about it the most. The image of Editta Sherman, another New York-based fashion photographer, is insightful, touching upon the unique nature of personal style and the way it exists in collaboration with its surroundings. Seen lovingly through the gaze of Cunningham, with whom Sherman collaborated with for years, it should be noted that this outfit was one that was typical of Sherman. After all, she was often referred to as the "Duchess Of Carnegie Hall." Taken in the late '70s for his photography book Facades , this was as street-style as things could get before street-style was even a term. Still today, it is one of the most iconic photos — both sartorial and otherwise — ever taken in New York City. Although this image may not be typical of the photography that we've seen from Cunningham in more recent years — aka his Fashion Week street-style round-ups — I feel that it evokes the same tone as the photographs he took for The New York Times for 40 years thereafter. In it, there's a sense of the candid alongside the poised: The individuality of fashion contrasting against an industry that undoubtedly influenced the outfit and scene in an infinite number of ways. Cunningham was of the people and for the people. Fashion was, to him at least, not about celebrity or scandal, but about self-expression: A self-expression that is most often seen on the streets and without the aid of stylists; a self-expression not often witnessed on the runways of New York, London, Paris, or Milan; a vision that's so personal to the individual, and not about how the public will perceive it. Cunningham saw and documented fashion's impact on every part of life — including something as seemingly minute as the choice of a hat worn to Sunday mass. 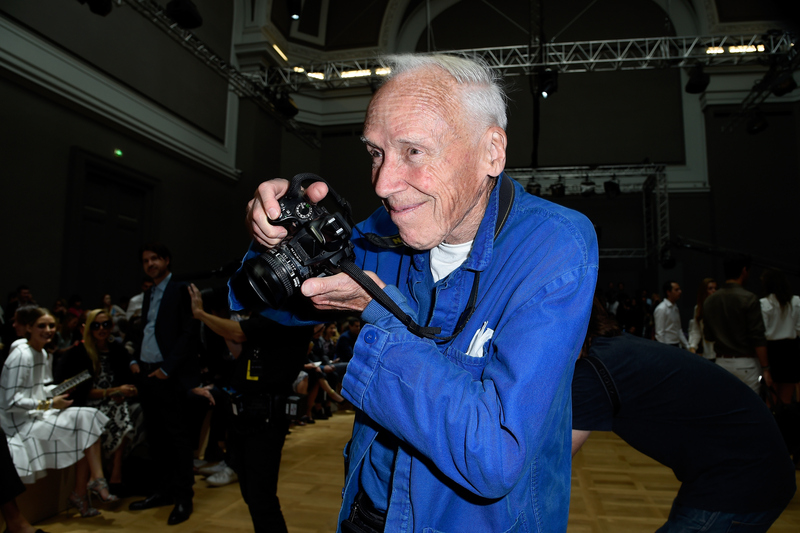 In his well-received and much-loved documentary Bill Cunningham New York, released in 2010, the photographer defended fashion against the parts of society that think they're above it. The wider world perceives fashion as frivolity that should be done away with. The point is that fashion is the armor to survive the reality of everyday life. I don’t think you can do away with it. It would be like doing away with civilization. Cunningham's comments on fashion have touched me and countless others. When presented alongside his photographic work, they make perfect sense. When we dress every morning, we dress in what we think looks good. We dress for the world, sure; but more importantly, we dress for ourselves. We dress for how we wish to represent our personas to the world. We dress to cultivate an image that shows who we are. We dress to protect ourselves and our unique senses of selves. Cunningham knew this. He adored this. That is why his legacy will live on in the world of style forever. Fashion is not principally for the powerful design houses, but for the people on the street who know that wearing their favorite jumpsuit with a necklace their grandma gave them will give them the strength to get through the day. Or, in the case of Editta Sherman and this photograph, wearing antique garb to feel unique amongst the hustle and bustle of '70s New York.